GST: How to claim refund of excess balance in Cash Ledger? GST: How to claim refund of excess balance in Cash Ledger? GST: How to claim refund of excess balance in Cash Ledger? 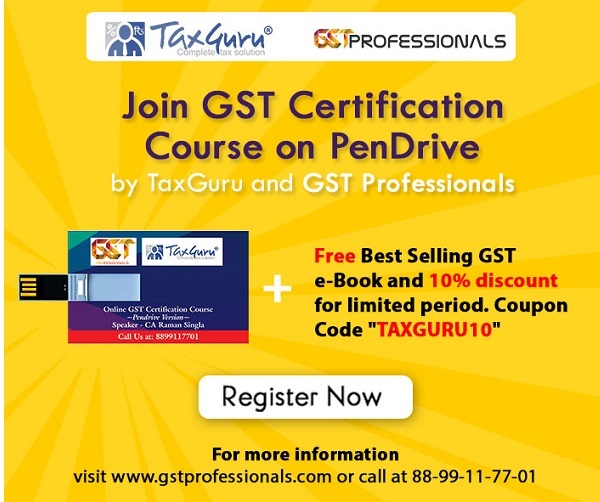 There can be a lot of mistakes while creating GST challan for making GST Payment, it may be due to confusion, deadlines pressure or due to wrong interpretation of the columns while creating challan, this results into temporary blockage of funds in the Electronic Cash Ledger & a war between us and clients. I’m one among the suffered, by wrong interpretation of late fee as a penalty while creating challan and end up with blockage of funds in Cash ledger since September,2017. 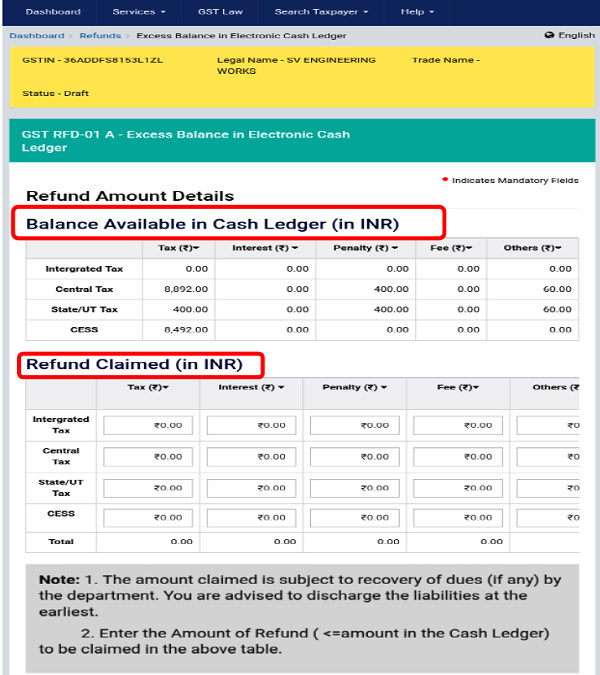 But, by the initiative of GSTN there are no more hassles, we can get refund of the balance reflecting in Electronic Cash Ledger by filing a simple Online application for refund viz., RFD-01 within minutes. In this article I made an attempt to explain step-by-step guide for filing RFD-01 with pictures wherever necessary by following simple steps, hope you will enjoy it. Please note that, the excess GST paid can be claimed as a refund within 2 years from the date of payment. This means that if excess GST is paid in the month of January 2018, GST refund application RFD-01 can be submitted till January 2020 only. 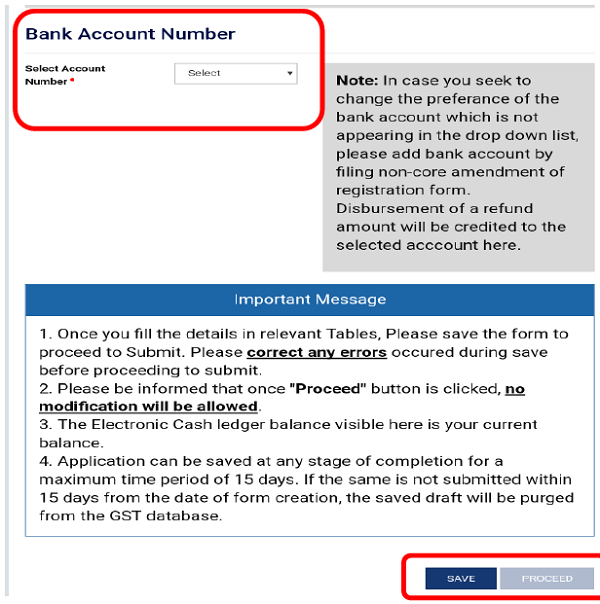 Step 5: Select the Bank Account from the drop-down list, if you wish to get refund in bank account other than appearing in drop-down list, file non-core amendment registration and add new bank details and click on ‘SAVE’ and then PROCEED. Step 6: Click on the checkbox and Select the name fo the ‘Authorized Signatory’ from the drop-down list and click on ‘SUBMIT WITH DSC’ or ‘SUBMIT WITH EVC’ as per your availability. > Submit Refund ARN receipt along with copy of your GST registration certificate to your Jurisdictional GST Office,after inspection by a GST officer refund will be credited to the bank account. Services tab > Refunds > Track application status > enter ARN number and click on search. As of now GSTN not specified any time limit for processing of Refund application RFD-01 but generally application will be processed and amount will be credited into bank account within Thirty (30) days but soon CBEC will cut-short this time limit for processing refund application and hope going forward GSTN will process refund applications instantly like how E-commerce sites were doing. How to resolve “Error in establishing connection with TRACES Websocket Esigner” on TRACES? if someone has mistakenly deposit gst in the form of cess and the excees balance is not shown in cash ledger then how to get gst refund back? i ,am jiarul sekh,I am woking in maharashtra But My Gst No Is W.B. (sir, i am a Labour contractor)i Have Face some problem, Actually month of sept-2018,gstr-3b, company is payment to me igst rs-61,000/- but unfortunately igst rs-487200(incl let fine fees).Then my sept 2018 liability paid to this amout , maximum amount are showing cash lajer balance,(financial i ha some prob) ,so plzz tell me sir, i want to my gst lajer cash balance refund. they are asking for GST3b, GSTR1, cancelled check, cash recept, challan , refund application with firm letter head and stamps with all director signes are really these much documents needed and they are saying that they will take 90 days to process refund. They are also asking money for signature of related officer. for january 2018 i have appling refund through online one popup shown(you want to file nil refund application) he wrongly click the yes instead of no.) now i can not file refund for Jan because the online not accepting the same. writing to the helpdesk no respose. 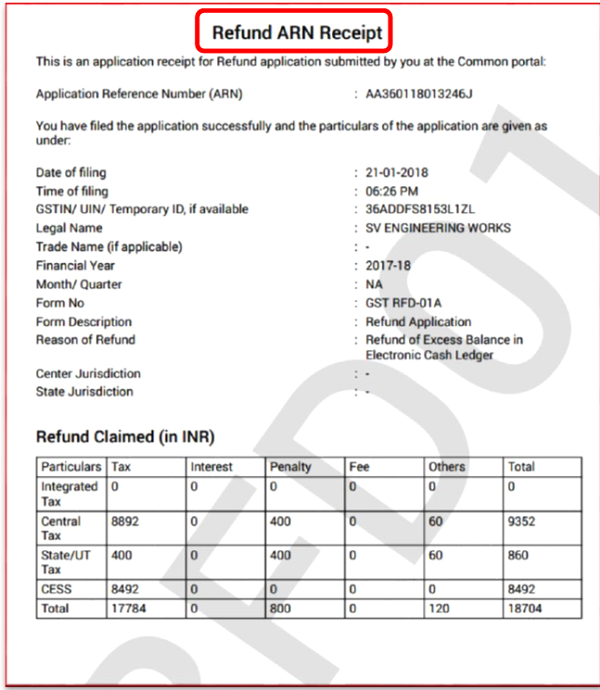 can you kindly tell how to rectify and get the mistake rectified and apply again the refund for Jan 2018. We have CGST & SGST Refund.. can you suggest me to which jurisdiction i suppose to submit the refund ARN receipt . I.e State jurisdiction or central jurisdiction..? I have filed refund application with the bank account which i have closed. So please tell me where will my refund go. Yes it mandatory to submit ARN along with GST RC for further process. I have been trying to claim refund of Excess Balance in Electronic Cash Ledger-[GST RFD-01 A] but getting the error “System Failure”. The error appears when I “Submit with EVC”. I tried through different browsers, ISP’s and at different times but still the error is there. Despite several complaints to helpdesk@gst,gov.in and on their helpdesk telephone number 0120-4888999, their has been no action. After closure of helpdesk@gst,gov.in, I have filed complaint on their portal also. I have tweeted to GSTIN tech, Mr. Adhia, Mr. Jaitley and many more. Even visited my Jurisdiction office. Gst jurisdiction name not available in gst certificate..
We have applied as above 2 months ago. But no amount yet received…. Cash ledger debited on the spot…. Any remedy ??? Should we need to submit any additional documents in person even to get the refund of excess payment made? Should I wait for thirty days before approaching my jurisdiction officer.